This post is two years in the making. I took this pic two years ago, but didn’t end up posting this recipe until today when my friend, Libby, asked me for a refrigerator pickle recipe. This is a very vinegary recipe. If that’s not your thang, swap out one cup of vinegar for a cup of water. 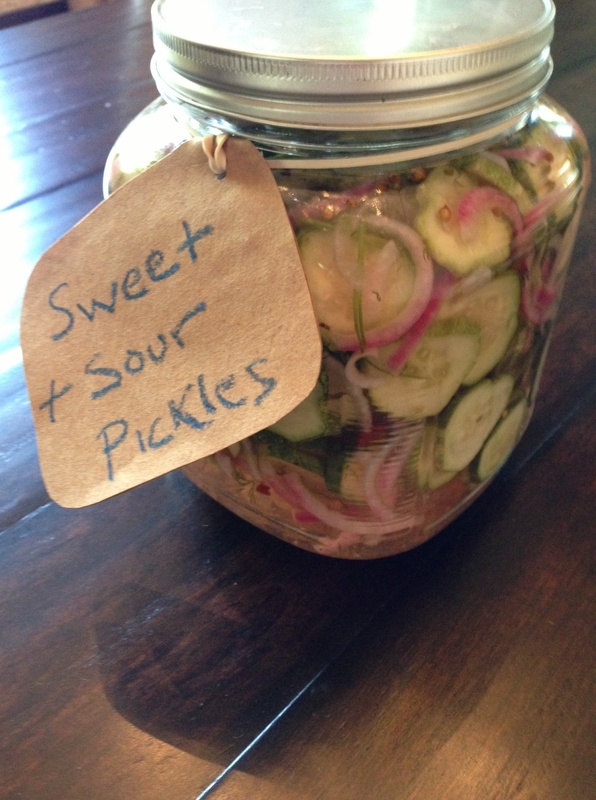 Shove the cukes, onions, garlic and dill in a quart jar or container. Heat the vinegar, sugar, salt and pickling spice until the brine is as warm as warm bath water and stir to make sure the sugar disolves. Pour over cukes, etc. and refrigerate over night. (Or heat to a low boil and and pour over cukes, etc and eat in a couple hours).